He was left fatherless at a tender age and soon after the death of his father, the widowed mother and her son immigrated to the new country beyond the Ohio River. In 1826, Emsley Brookshire, then thirteen years of age, with his mother started on foot for Indiana, walking all the way carrying their effects, and it took them three months to make the journey, finally they reached the home of Meshack Lewelling, a relative to the Brookshire family. He was converted in 1830 and began his ministry in the Methodist Episcopal church as an exhorter continuing with that denomination until 1840 when he withdrew on account of his anti-slavery principles and for three years labored in different denominations, lecturing against intemperance, slavery, etc. In 1843 he organized the Duck Creek Wesleyan Methodist Church and began his labors as a home missionary. He became a member of the annual conference and was ordained a Elder in 1846 and commenced his labors as an itinerant and sustained that relation until 1866 when he accepted an appointment as missionary to the State of Tennessee and remained there two years. In 1873 he returned to Indiana and was appointed pastor of the church in Richmond, Indiana, and remained there two years. His labors there resulted in the conversion of 120 persons and an addition to the church of sixty members. He was then appointed to the Fairmount Circuit. Since 1881 he has maintained a superannuated relation, his health and age rendering him unable to assume the duties of the pastorate, although he preaches and does other work as he is able. On September 18, 1834, Mr. Brookshire was united in marriage to Elizabeth Shelley, who was a native of East Tennessee, having been born there on November 9, 1817 to them were born ten children, namely; William, Eli, John W., Sarah Ann, Mary Jane, Thomas J., Abigail, Orange S., Luther L. and Henry. Elizabeth Shelley Brookshire died on May 31, 1858 at the age of 40 years, 6 months and 22 days and is buried in the old Duck Creek (now Brookshire) cemetery located on the Sulphur Springs Road just north-west of New Castle. On June 11, 1859, Emsley Brookshire was married to Mrs. Julia M. (Thorp) Hockett, daughter of Rev. Alfred Thorp of Williamsburg, Wayne County, Ind. To them was born one daughter, Belle Brookshire. 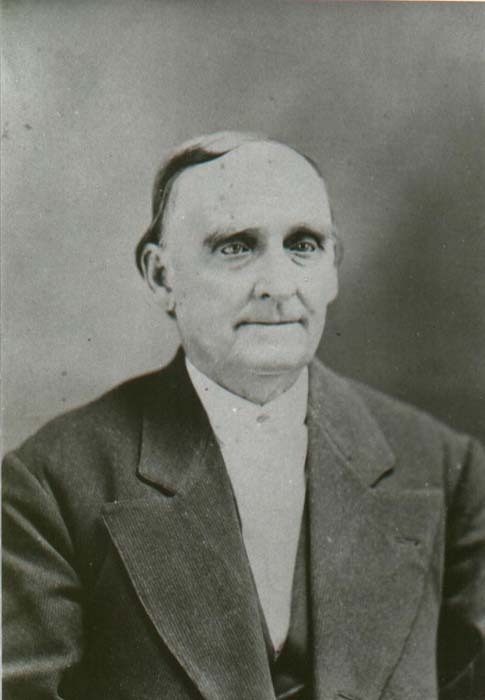 Reverend Emsly Brookshire died on 23 May 1890 at the age of 76 years, 5 months and 15 days. He is buried in the Duck Creek (Brookshire) cemetery next to his first wife, Elizabeth, and several other members of the Brookshire family.